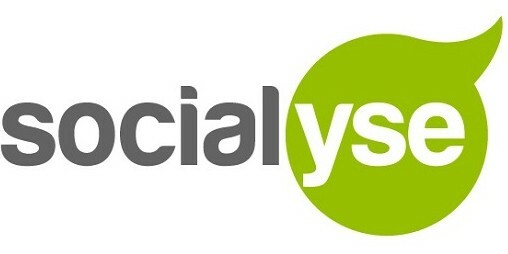 Havas global CEO Yannick Bolloré has spent the last five years relentlessly reorganising the network to remove its individual specialities and facilitate the Village model. It’s a strategy he conceptualised in response to client’s calling for a less confusing agency framework. Operating in a total of 60 markets around the globe have been reorganised into the Havas Village structure with creative, media and PR all in one building, offering a full-service model to clients. The overhaul was a result of Bolloré taking on the Havas Group global CEO role after spending several years within the Bolloré group – a majority shareholder of Havas’ parent company, Vivendi. At just 22,000 people globally, Havas is significantly smaller than its competitors in ‘the big six’, including WPP, Publicis, Omnicom, IPG and Dentsu. Not to mention the growing force of consultancy giants such as Accenture, Deloitte and PwC. Bolloré told AdNews on a recent holiday to Australia that he doesn’t view being the biggest as the most important, rather in advertising, it’s “survival of the fittest”. When Bolloré took over as CEO five years ago, he realised Havas needed a competitive edge, which led to introduction of the Havas Village strategy. “When I started my role it was a very strange period of time because it was at the same time as the merger between Omnicom and Publicis and the rise of Google and Facebook,” he said. Shortly after Havas coined its Village strategy, WPP introduced a similar model and blessed the industry with the buzzword ‘horizontality’. Publicis introduced its Power of One strategy a year later. The idea of creating bespoke units for clients from across the group has also been used by Omnicom for blue-chip clients like McDonald’s and locally Dentsu has rolled out bespoke teams for Disney and Woolworths. Bolloré recognises the holding groups as strong competitors, but said Havas has enjoyed the advantage of being three years ahead in the restructure of its organisation to facilitate the integrated model. “Trust me, it’s not simple,” he said, referencing the process the network underwent to bring its specialities together, which took five years to pull off in Australia. The last piece of the Village puzzle is the Australian office, which in 2019 will move its sub-agencies – Host/Havas, One Green Been, Red Agency and Havas Media – into one office in Harrington Street, Sydney. With the Australian office equal to 25% of its Asia Pacific operations and the sixth largest market for the Havas group, it’s an important market for the group, Bolloré explained. 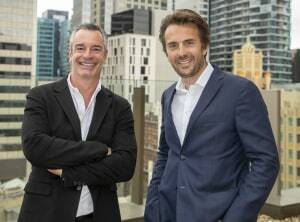 The relocation makes Havas one of the biggest agencies in Sydney at 450 people, which Havas AUNZ chairman Anthony Freedman said will open the door for greater opportunities and help grow the group’s position in market. There are two factors which have protected Havas from the woes of other holding groups, such as WPP, which has been beaten up in the headlines over the last 12 months following leadership exits and lacklustre financial results. Firstly, Havas isn’t publically listed and forms part of the family-owned company, Vivendi. Bolloré explained the business is able execute on a long-term strategy because it’s not impacted by various changes of leadership, which his father Vincent Bolloré, who chairs the Bolloré Group, becoming a shareholder of Havas in 2004. “We’re not publically traded so we don’t have to worry about the next quarter. We just have to focus on creating the most value for our clients and our talents in the long-term. This makes a big difference,” he said. Unique to the Havas group is its entertainment ties with Vivendi also owning Universal Music, Canal, Daily Motion and other properties. Bolloré led the acquisition of a 60% stake in Havas in 2017 for $3.4 billion. Bolloré said Havas is his main focus but being part of the Vivendi group enables the company to understand more about the changes happening in the entertainment world. An example he offers of the two businesses collaborating successfully is the Air New Zealand ‘Summer Wonderland’ campaign featuring Ronan Keating. Despite a revenue dip in 2017/2018, Bolloré backs Havas Village as a “successful and fruitful strategy” and believes it’s been game-changing for the group. “The years that have followed, between 2014 and 2016, we were the higher performing company in the world with the higher company gross,” he said. In 2015 the network had revenue growth of 17.3%. Fast-forward to 2017, Havas slumped and for the financial year posted just 1.9% revenue growth missing its 3% forecast. Across the board, 2018 has been a difficult year for advertising holding groups, particularly WPP which suffered a dramatic drop in its Q3 results. Omnicom and Publicis have fared better, but global pitches and digital transformation has meant challenges for the global industry. Bolloré admitted 2017 has been more challenging than the network expected, but he has high hopes for the business to return to growth next year. He described 2018 as a “transition year” with major clients such as Ford, Mondelez and Amex challenging their current agency partners with global reviews. Lower margins on the media side of the business, clients cutting marketing spend and pressure on the creative side to align regionally meaning lower costs, has impacted the growth of the Havas Group, Bolloré said. “We have been in defence for pitch mode during these last 12 months. I hope 2019 will be more like the year we knew in the two years before, where we start to come into the competition,” Bolloré says.